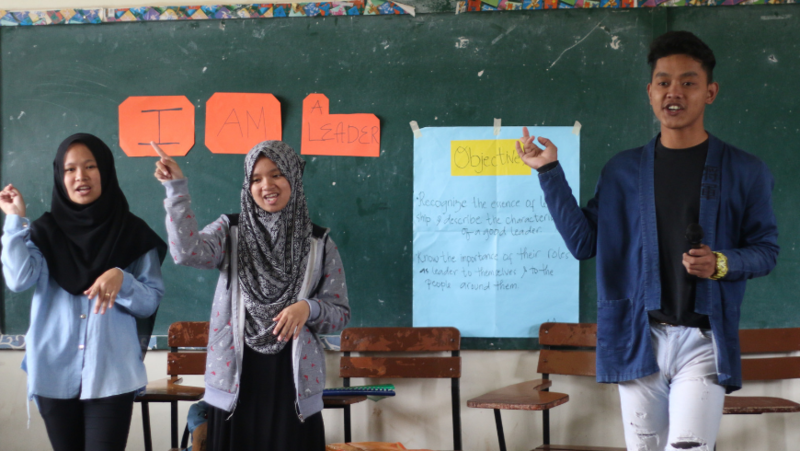 Junaisah, Salwah and Hadji may be from different classes but they are connected by a common goal – empower their fellow students in Lake Lanao to become peacebuilders. 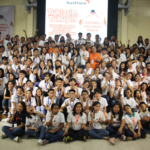 All three are part of World Vision’s Marawi peace and protection project which aims to help strengthen systems and structures for peace and protection and to empower the children and the youth to become agents of peace. 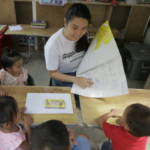 The year-long initiative, which was launched in July 2018, will reach at least 1,600 boys and girls and about 400 adults, including teachers, faith and barangay leaders, on various peace and child protection promotion activities. While facilitating peacebuilding activities look easy now for Junaisah, Salwah and Hadji, it wasn’t an overnight process for them and they know it wouldn’t be as easy for the other children, too. Afterall, they have their own stories of pains, of moving on, since Marawi, the home they’ve always known, was caught in an armed conflict. I wanted so badly to finish my studies. I want to become a Sharia lawyer and I thought that dream crumbled when the siege happened. 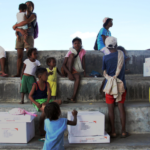 We had to move to an evacuation center for two months. For the first time in my life, I made a big decision to stay with relatives in Cagayan de Oro so I can continue with my education. That was my first time to be away from my family. I promised myself to make them proud. This coming April, I will be awarded top 5 in class. I am also happy facilitating the roll out of peacebuilding training to my fellow students. It feels good that we are all moving forward as one community. We are not too young to be agents of peace. I am usually shy but being a peace advocate and a youth facilitator for peacebuilding activities compels me to step up. I should do it because I want our generation to be peace-loving. I experienced the pains of Marawi crisis and it should not happen again. I am the fifth among 11 children. We were separated for more than eight months because there wasn’t any other choice. There were questions in my mind but I had to keep studying, even it meant I had to do it in another school with children I am not familiar with. I made it to top 2 and I am determined to keep going so that I can be a doctor someday and be able to send my aunt and my parents to hadj (a pilgrimage to Mecca). Creating a space where we are able to listen to our fellow students’ thoughts and share our hopes for Marawi is necessary. I have so far facilitated two empowering children as peacebuilders (ECAP) training in our school since World Vision trained us, student leaders, and we are seeing the results of these efforts. When the younger students know that they have Ates and Kuyas and even schoolmates to go to, to share their ideas, we foster friendship. I am proud of that and of our school that allows us to do all these. I was not here when the armed conflict happened but I see and feel its impact until today. My hope now is to finish my studies and be able to contribute to rebuilding this place even if I am still studying.